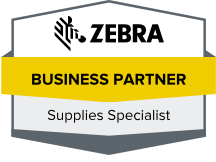 Look no farther than Tri-State Business Systems when you are in need of a barcode scanner or barcode printer, including those from Zebra, Datamax and TSBS. Tri-State has the scanning and printing equipment your business needs, as well as having the necessary supplies to operate the scanners. Along with ordering a scanner, you can ask for one of our specialists to provide an analysis of your scanning and labeling needs. Once this is done, Tri-State Business Systems will help you by building the barcode system that is best for your business needs. Once you have ordered your equipment, that is not the end of our relationship with you. We will stay in contact with you, servicing and maintaining your equipment so it functions at full efficiency. Once your new barcode scanner and printer have been installed, our representative will provide training for your staff, enabling them to start using it correctly and with confidence. Your business will not lose a beat as you begin labeling the equipment and stock that needs to be identified. All businesses benefit from having a fail-safe supply chain monitoring systems. A reliable barcode scanning system helps them to keep track of supplies ordered so they know when to order. In addition to your new barcode scanner, you can also order barcode labels, thermal ribbons and barcode software from Datamax, Zebra, Sony and TSBS. Contact Tri-state Business Systems for your barcode scanner, labels, printers and more from New Jersey, New York, Florida, Texas and other areas across North America.